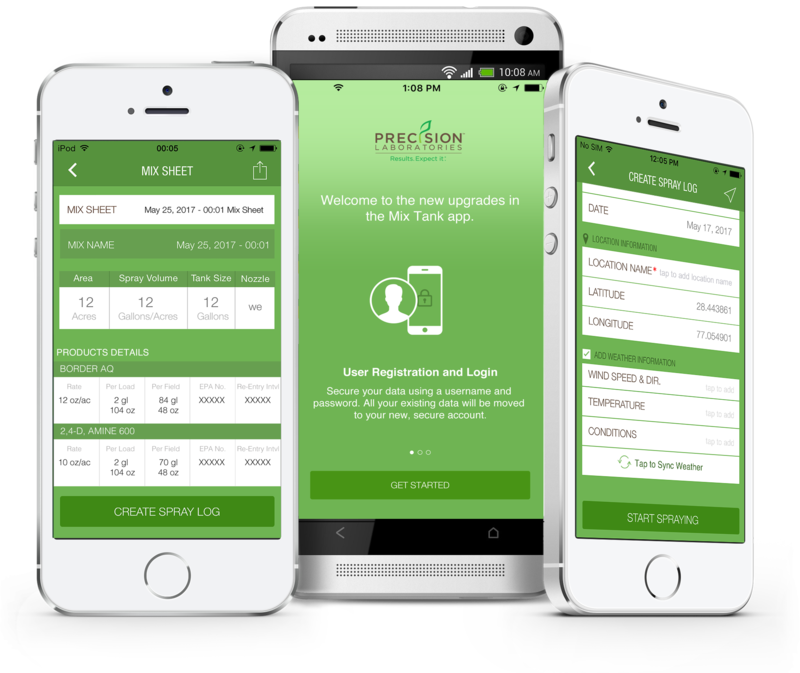 WAUKEGAN, Ill. (August 7, 2017) – Precision Laboratories has released an extensive upgrade to its Mix Tank app, available for download on iTunes and Google Play. The latest refresh is designed to better assist agricultural growers and professional applicators with resources and record keeping that will help prevent mix tank problems and make crop applications more efficient. Waukegan, Illinois (June 12, 2012) – June 2012 marks the 50th anniversary of Precision Laboratories, a leading provider of specialized chemistries for the agricultural and turf industries. Waukegan, Illinois (March 29, 2011) – While water management continues to be a primary concern for turf professionals, Precision Laboratories launched a Web-based application that determines water- saving soil surfactant options based on turf and soil type, climatic conditions, and irrigation and application practices. Waukegan, Illinois (April 11, 2011) – Earth Day is Friday, April 22, and Precision Laboratories, a leading provider of specialized chemistry for green industries, is counting on the help of turf professionals to raise funds for The Environmental Institute for Golf. On Earth Day, every time an individual scans the provided Microsoft® Tag with their smart phone, becomes a fan of the company on Facebook, or follows the company on Twitter, Precision Laboratories will make a $5 donation per event – up to $5,000 – to the golf charity.